Since the 2009 Amsterdam Conference on the Human Dimensions of Global Environmental Change the world’s focus on climate change has been much reduced. Many people have been more concerned with the effects of the stock market falls the previous year, which at the time of the 2009 conference had not run their course to the extent that most assumed they had. This may now change, due to CO2 Emissions figures released today. If effective action is now to be taken, to peg climate change at the levels targeted at the 2009 Amsterdam Conference, politicians will need to start thinking about the issue again. News out this week from a number of sources, including the EurActive Foundation website, strongly indicates that Europe’s CO2 emissions rose as the continent’s economies emerged from recession during 2010, closing at 2-4% higher than a year before. 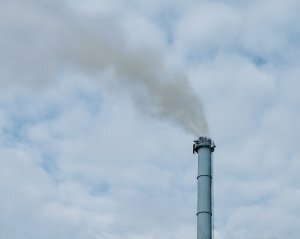 The carbon market analysts Point Carbon also describe a similar picture pointing out that Industrial emissions rose most at 4% while power and heat emissions grew by 2%, according to their estimates. This follows closely EU national recoveries which are fuelling increased manufacturing output. Under existing climate change initiatives in force in Europe notably the EU’s “cap-and-trade system”, the Emissions Trading Scheme (ETS), saw an increase of 3%. Other commentator’s reports vary slightly but tend to confirm this figure, and these are the best estimates which will be available to work on until official figures are published in April.. He also took the opportunity to say that “It shows that the growth-based solution to unemployment and other economic problems is unsustainable.” Certainly, any thoughts held that any of our major economies have yet decoupled economic activity from non-renewable energy consumption rises, is not realistic. Furthermore, in the US last year, Environment Protection Agency figures indicate that power plant emissions of greenhouse gases rose even more, at a record 5.56%. The subject of climate change action has been less in the news over the last year or so, due Amsterdam’s failure to bring forward much positive climate change action . Coincidentally it was held with the world’s economies still beset by the financial crisis of 2009. It was less of an issue with US emissions having fallen 6%. The drop in Europe, had been even more acute, with planet-heating emissions crashing by 11%. Now at this rate of increase carbon emissions will soon rise to exceed those before the recession, and meanwhile, of course, emissions from the emerging economies never stopped rising. It will be more a question, commentators at the EurActiv web site suggest, whether a -30% cut in emissions reductions would be better, than the current 20% target. This might stimulate more green investment. Jo Leinen MEP (Germany; Socialists & Democrats), who chairs the Parliament’s environment committee, said, “If we want to have a chance of stabilising global warming at a two degrees Celsius increase, the power sector has to change and transform much more fundamentally,” he said. Interestingly, economic recovery is patchy, and so also is the story for Spain and Greece. Those nations bucked the trend and saw falls in their power and heat emissions, by 32% and 11% respectively reflecting their continued economic struggles. However, for this the only data is that in Point Carbon’s country-by-country forecast. Italy and the UK witnessed the largest increases, at 5.3% and 4% respectively. Kjersti Ulset, manager of Point Carbon, put a more optimistic gloss on these figures when he said that the EU’s 2020 targets could still be met.